Global Positioning System or GPS tracking uses the Global Navigation System (GNSS) network to provide the exact location as well as the movement of a vehicle, object, or person. It uses a range of GPS satellites that employ microwave signals. These signals can be transmitted to GPS devices and can provide information such as location, vehicle speed, time, duration, and direction. GPS satellite tracking is a valuable tool that your company can use to manage your fleet and coordinate your workforce when it’s spread across the map, including in remote areas. 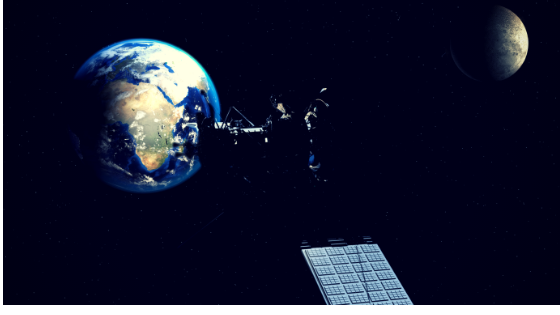 What kinds of information can satellite tracking devices provide? Live satellite tracking provides you with up-to-date details and timely alerts on where your investments and employees are as well as what they’re doing. With this information, you can optimize your company policies and minimize error or waste. Add in additional perks — such as automated alerts for speeding or hard braking and the ability to use geofencing to mark virtual boundaries that drivers cannot go beyond — and you have all of the features that you need to streamline what could be a cumbersome maintenance process. What are the benefits of live GPS tracking? Ultimately, satellite tracking benefits are based on the fact that GPS allows a higher degree of fleet management that’s both persistent and detailed. That means, you always know where your cargo is and what your employees are up to even when they’re thousands of miles away. Rather than leaving you to cross your fingers and hope that things work out well and that your workers are honest with you once they’re back, you stay in full awareness through the entire process, allowing transparency to keep everyone honest and their work on track. Is satellite tracking right for my business? If your workers spend most of their hours on the clock away from company property and in a vehicle, live GPS tracking is probably going to pay dividends. Without a physical, centralized area to conduct service, the potential for abuse of resources — time chief among them — is ever present, and you need some way to maintain oversight. Even the cheaper, more basic models of ELD that only provide location references can be an enormous boon when you’re trying to cut down on waste. Any service that’s based on travel is going to have some areas that can be improved including too much downtime, dangerous driving behavior, cut corners, and more. Depending on the field you specialize in, you may be legally required to have satellite tracking on all of your vehicles to operate. But even if your particular business isn’t subject to the new rules and regulations, GPS technology is something that promises to grow and become even more universally used in the future. Why not jump aboard the ride now, especially when it’s going to help you thrive as an overseer at the same time? GPS tracking has allowed the advancements of the 21st century to finally get its hooks into industries where it was largely unable to go, which left companies to make do with the old-school methods of good faith and tedious logging that could easily be falsified and taken advantage of. Though the transition into a more technologically advanced era has not been without its bumps, there’s plenty to gain from investing now that the gulf — whether physical or otherwise — between boss and employee can be so radically limited. Feeling like your business is spread a little to thin over all of those miles of pavement? Let the satellites silently zipping around somewhere far above help you pull those strings together. Need help or more information on whether or not live GPS tracking is right for you? Give us a call or leave your question in the comments below.